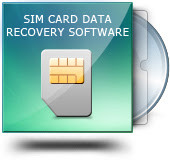 Sim Card Data Recovery Software Free Download Latest Version For Windows OS (XP-7-8 and 10). Get the offline installer standalone setup file of Sim Card Data Recovery Software with a single, direct and secure link. The downloaded setup file is compatible with both Windows 32 and 64-bit versions. 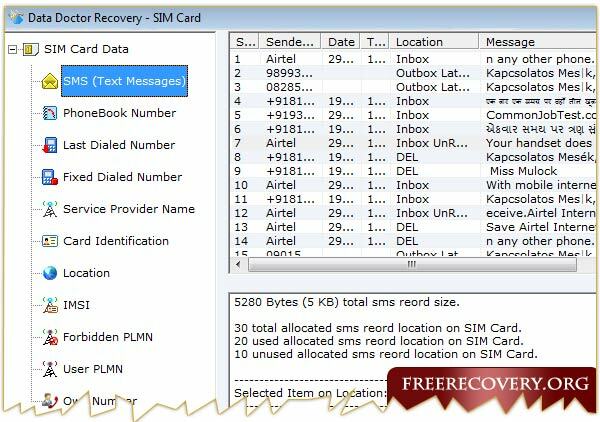 Sim Card Data Recovery Software restores SIM card data such as SMS messages, call log, contacts, etc. which were accidentally deleted either by pressing the delete button or by a virus that damaged the SIM card. The program has an easy user interface and a very small size. Sim Card Data Recovery Software Is a program that's designed to recover the data that you have deleted from the SIM card by mistake, and you need to restore them again whether it is a text file or phone numbers or SMS and also the name of the service provider. To use this software, place the card in the USB sim card reader and it will retrieve your data easily and quickly. It can also be used by investigators to check the SIM card and find out the messages, numbers and call logs that have been accidentally deleted. The program displays all details about deleted data such as the size and date of creation. For example phonebook numbers, memory status, contact names, SMS or other details can be restored. You can use this program when information is accidentally deleted and when the SIM card has been damaged due to a virus or due to some technical defects and network problems or because of a human error. With this software you can view the International Mobile Subscriber Identity (IMSI) SIM and the ICC-ID (Integrated Circuit Card ID). Works with 3G, 2G or GSM handsets. This free software is used by forensic and investigative agencies because it generates a textual simulation of your sim information. It also has a retrieval option and also allows you to restore deleted call lists including missed calls, received calls, and all incoming calls, incoming or outgoing messages, lost messages, even if have been deleted from the SIM card memory, phone numbers and phone book. Once you download Sim Card Data Recovery Software with the assistance of a USB SIM card reader, you can restore and backup your data by accessing SMS options for text messages or for the Address Book. Then, just choose a destination to save that information. This utility has the ability to restore the list of recently deleted calls and for security reasons to retrieve a SIM card that is locked due to an incorrect PIN code. It can be used with GSM / 3G SIM from any country and any network, because the Advance sim card recovery software can read them, whether the card number is in the status of subscription or not. You do not need high technical knowledge to use this tool. Sim Card Data Recovery Software recovers lost data in minutes. With this tool you can get and save a full backup of the deleted SIM card memory. Complete the help file section with the graphical function. 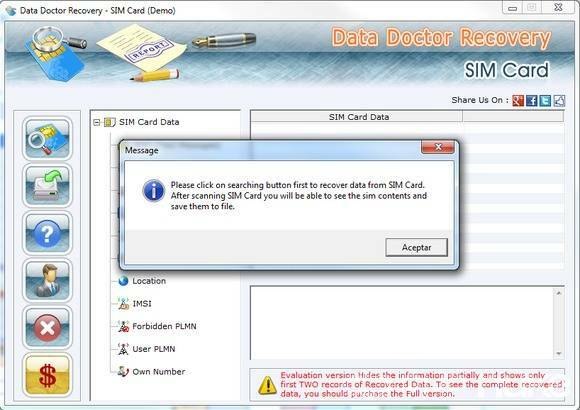 Software Name: Sim Card Data Recovery Software Free Download. Official Website: Free Recovery Inc. Processor: Intel Pentium class or higher. RAM Memory: 128 MB of RAM. Hard disk space: 10 MB of free space. 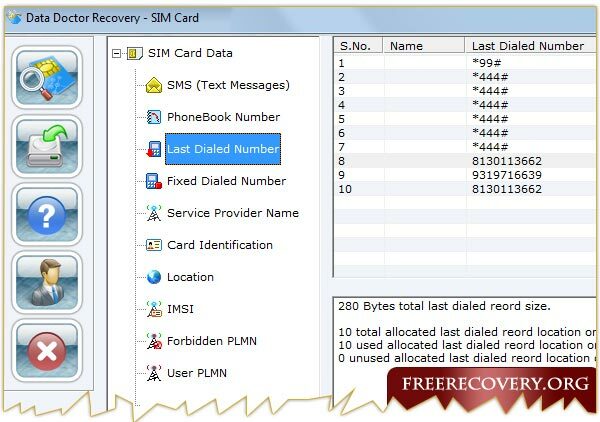 Click on the button below in order to download Sim Card Data Recovery Software for PC. 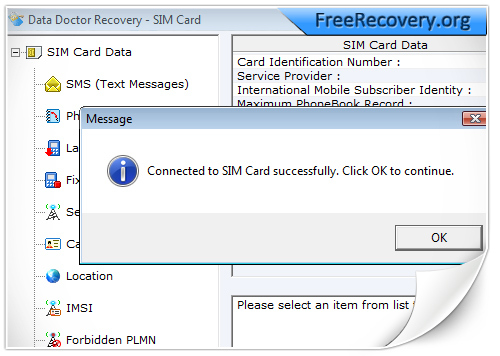 It's a complete offline installer and standalone setup for Sim Card Data Recovery Software. This file would be compatible with both 32 and 64-bit windows.